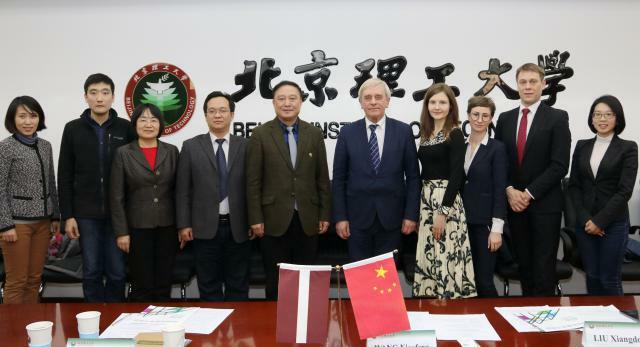 On March 7th 2019, Prof. Igors Tipans, Vice-Rector for International Affairs of Riga Technical University, Latvia visited Beijing Institute of Technology. BIT Vice President Xiaofeng WANG hosted the delegation. The two sides reviewed the existing collaboration, exchanged ideas on how further cooperation in student exchange and mobility can be implemented and expected to work together first on summer school program in areas of common interests such as mechanical engineering and artificial intelligence.